I was doodling the other night right in Photoshop and drew a dapper looking fellow seen here. 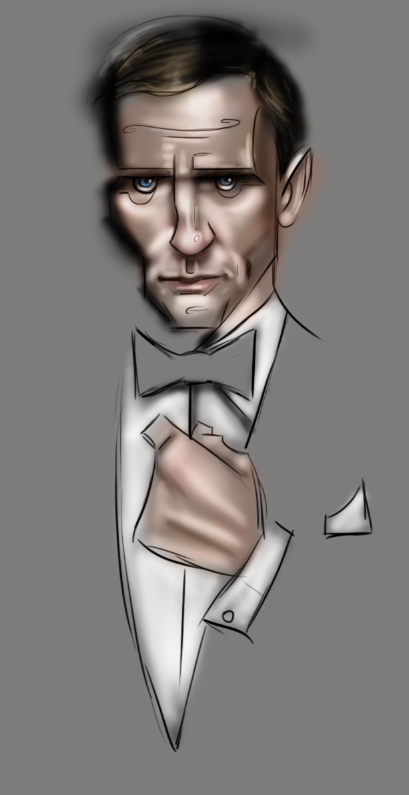 I really liked the looseness and such but I was also taken with how "Bond" he looked. To me anyway. I remember seeing a sketch that Ian Fleming had done when he first created the character and this is what it reminded me of. Upon further investigation I saw how my memory played a few tricks with me but the impression was made. 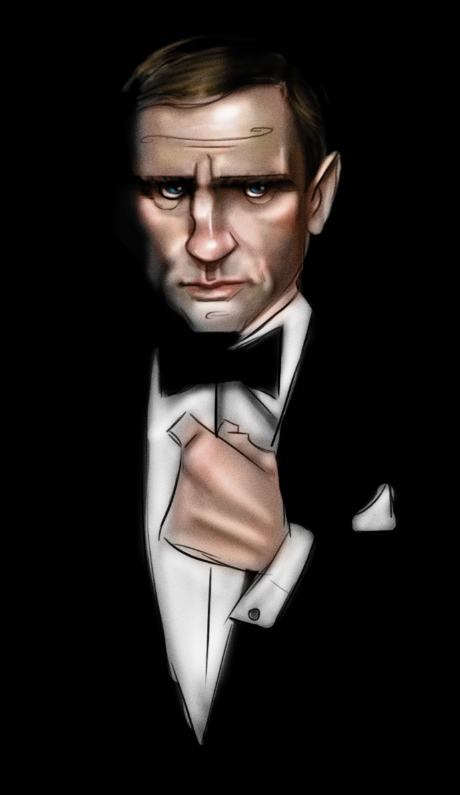 With some tweaking and painting in a short amount of time I was left with a more Daniel Craig version of Bond. At least I thought so.